The UK government affirmed on September 24 that it had begun "resettling" activists of the White Helmets group and their family members from Syria to the United Kingdom. Sputnik discussed the statement with Roberto Vivaldelli, an Italian journalist, and an author of the book "Fake News." Sputnik: Recently, the Netherlands has decided to cut funding to the White Helmets over alleged links to terrorists. Do you think that other countries will follow suit? Roberto Vivaldelli: The first state to freeze loans to white helmets was the United States. "Having not received U.S. funding in recent weeks, White Helmets are questioning what this means for the future. They have received no formal declaration from the U.S. government that the monetary assistance has come to a full halt, but the group's people on the ground in Syria report that their funds have been cut off". CBS News (4 may 2018). The Netherlands did not finance only White helmets but also other Islamist groups. "Nieuwsuur" reported that Amsterdam gave "non-lethal assistance" to 22 jihadist opposition groups fighting Syrian government forces. This included providing uniforms and pick-up trucks to the Jabbat al-Shamiya militia in 2017 as part of a secret programme providing assistance to rebel groups in Syria from 2015 to early this year. 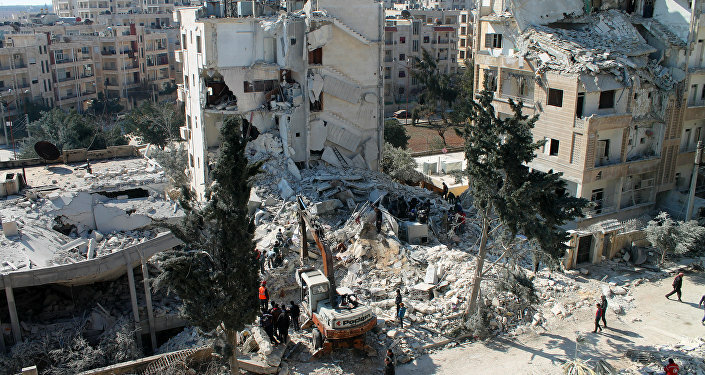 With the victory of Bashar al-Assad, other states could now follow the example of the Netherlands and the United States, like Danish and German governments. Sputnik: In your view, why is the UK resettling the White Helmets and their families? Roberto Vivaldelli: Because Great Britain is the power that most of all believed in the action of the White Helmets. 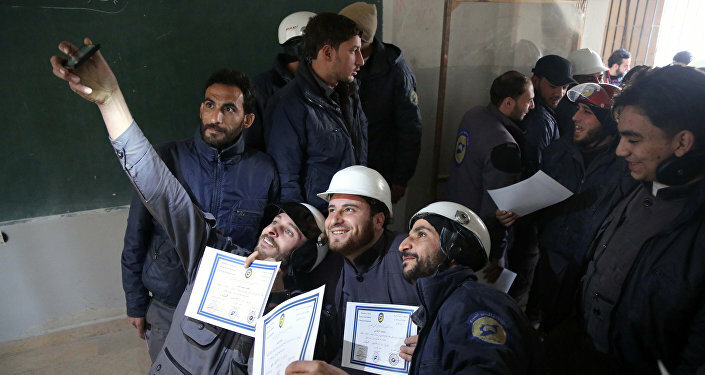 The White Helmets was established in "late 2012 — early 2013" after a group of 20 Syrians were trained and organized by former British army officer James Le Mesurier. Now Great Britain tries to sell these people for heroes and welcomes them as refugees. However, the British government continues to tell lies and falsehoods. The group has operated exclusively in areas controlled by anti-government rebels, among whom is Al-Qaeda* affiliate Jabhat al-Nusra*, now called Hayat Tahrir al-Sham (HTS), but this is not told to English citizens. Sputnik: What is the reason behind London's support of the White Helmets? Roberto Vivaldelli: The strategic objective of Great Britain in Syria was to pursue a policy of Regime Change. The NGO founded by James Le Mesurier was necessary to discredit the government of President Bashar al-Assad internationally and Russia through media manipulation and propaganda. Now this goal seems to have vanished completely. Sputnik: How many White Helmets are still in Syria? Roberto Vivaldelli: Difficult to quantify their presence. 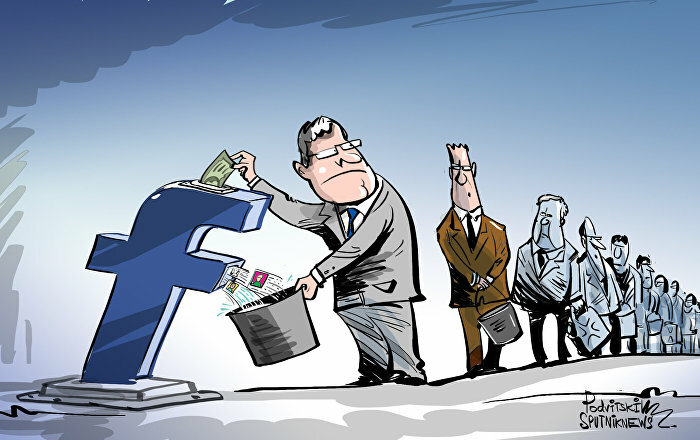 Let's say that transparency is not the strong point of the NGO. It was estimated that the White Helmets were around 3000 but it is probable that at this point there were several defections. Sputnik: Is the organization still operational? Roberto Vivaldelli: The White Helmets, which have always operated in areas controlled by rebels and terrorists, are still operating at Idlib. "Although many welcome the deal between Russia and Turkey on Idlib as a victory for the city and the population, no one in Idlib really believes this could stop a military operation" against the largest remaining rebel stronghold in Syria, says yesterday White Helmet volunteer Majd Khalaf. I think the group is now working on a fake video footage of a staged chemical attack in the Idlib province.